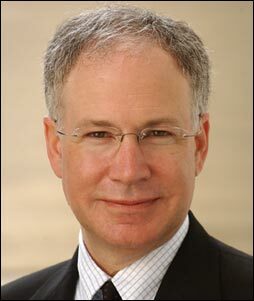 Allan M. Brandt is the Amalie Moses Kass Professor of the History of Medicine at Harvard Medical School where he directs the Program in the History of Medicine and the Division of Medical Ethics. Brandt earned his undergraduate degree at Brandeis University and a Ph.D. in American History from Columbia University in 1983. His work focuses on social and ethical aspects of health, disease, and medical practices in the twentieth century United States. Brandt is the author of No Magic Bullet: A Social History of Venereal Disease in the United States since 1880 (1987); and the editor of Morality and Health (1997). He has written on the social history of epidemic disease; the history of public health and health policy; and the history of human subject research among other topics. In 1998, he was elected to the Institute of Medicine of the National Academy of Sciences. He was named a Dr. William Cahan Distinguished Professor by the Flight Attendants Medical Research Institute in 2003. In September 2004, he testified as an expert witness for the U.S. Department of Justice in U.S. v Philip Morris et al. The federal district court judge in the case found that the companies had violated racketeering and fraud (RICO) statutes over a fifty year period.